Last edited by Thomasjc1 on Wed Apr 18, 2018 9:16 pm, edited 1 time in total. I think standard it was about 245 bhp for the 3.0d so to me 335 bhp would be pushing it considering it's a single turbo, especially as the 4.0d was a twin turbo and that was only 306 bhp. 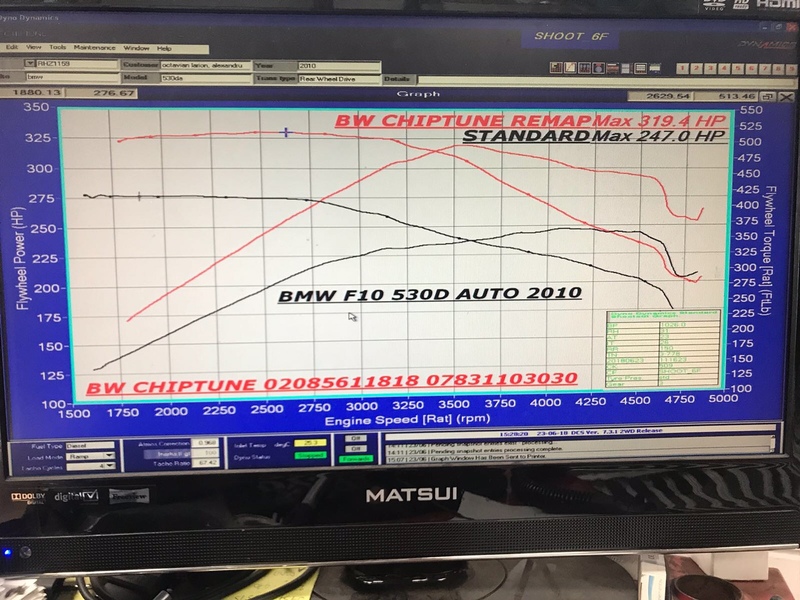 It may be worth contacting Jason at BW Chiptune as he has done a lot or remapping on BMW cars on here and also offers members a discount and can tailor the map to your needs as well. His details are in the performance section I think of the e53 part. Over 30 year repairing BMWs. New and fully refurbished BMW/Alpina ,Ecus (DME,DDE) and Cas units. BMW remote Keys made and cut same day with or without car even if all keys lost we can supply you a key like the dealers do. BMW key blades cut from BMW key code. Key data fixed for non starters or when theft attempted by making key by obd. Correction of Engine ECUs Cas and key fitted to your car (when a key set from a different car has been used). Digital Service Records rest and corrections in idrive screen on 2013 onwards cars. DPF repairs fixed without the need of removal of its guts or replacement.